Do you need to be a natural writer to be a blogger? How do you write a blog post for viral blog traffic even if you’re not Ernest Hemingway? In this video, I’ll show you step-by-step to writing a blog post from getting ideas to making writing easy. In fact, I’m revealing one keyword hacking idea for easy traffic that will surprise even the pros. Do You Have to Be a Good Writer to Blog? I know a lot of you want to start a blog but aren’t quite sure how to write a blog post or maybe just don’t think you’re a good writer. Eighty percent of blogging is writing those articles so it’s an important part but I guarantee that you’ve got it in you. In this video, I’ll show you how easy it can be to write a blog post as well as reveal some secrets to writing to get Google traffic as well as for readers. It’s all part of our six-video series on starting a blog, everything you need from getting your site set up to getting traffic and making money. It’s a step by step in everything I’ve done to create a six-figure business and how I reach hundreds of thousands of people every month across four blogs. Watch all the videos from start-to-finish here and become an amazing blogger! 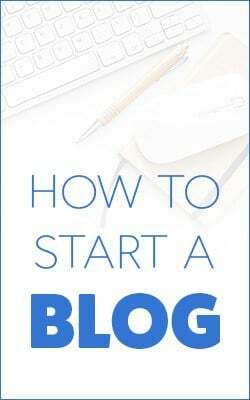 So I’ve been blogging or writing for bloggers since 2011 and it’s easy to forget how tough it was getting started, learning how to write and making the process as fast as possible. Anytime I let a new blogger write for one of my sites or I train someone, I’m reminded how it’s not something you can just flick on your computer and start doing. Even for someone that writes a lot, there are a lot of hidden details that will make you successful as a blogger. A lot of these have to do with writing so Google understands you and ranks your posts as well as writing to entertain and inform readers. We’ll first talk about finding ideas and putting together a content strategy that gets traffic and makes money. Then I’ll share some secrets and the process I use that makes writing easy. One of the first things to decide for your new blog is a content strategy. This is just the planning of what you’re going to write about in a way that builds your authority and reaches your goals like making money. Your content strategy includes the types of posts you’re going to publish like list articles, reader questions, interviews or how-to articles. It also includes the schedule you keep like how often you write posts designed to make money or posts to build community or get links. For example, one part of your content strategy is going to be to build out a series of articles in a very narrow theme. If you’re website is about investing, then you might do a series about dividend stocks so you would plan on articles covering how to pick dividend stocks, why to invest in them, risks in the investments and then maybe some articles on favorite dividend stocks in specific industries. What this does, it builds a library of articles on your site that really look at the topic from every perspective. 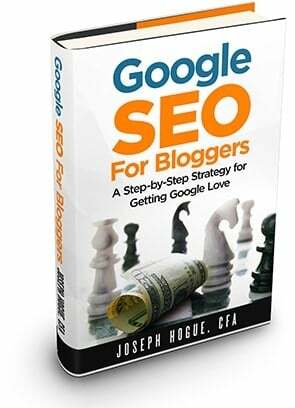 It’s great for building your authority, keeping readers coming back and getting that Google love in search rankings. Another part of your content strategy is your main money-making posts. Now, I’m a businessman to my bones and we’ll talk about making it so you’re making money on every post you publish but there are some posts that will be specifically for monetizing and will end up being a big percentage of your income. These are going to be articles like a review of an affiliate or a big comparison list of affiliates. It might be a review of your own product or a post on how to use it. These aren’t necessarily as annoying as TV commercials because you’re still providing quality information but they are obviously a more direct way of talking about a product or service. Because of that, you don’t want to do these every post so in your content strategy, maybe you plan on doing one of these a week or once a month. That puts it on your schedule so you don’t forget and you progressively make more money. Now you’re probably still saying, OK that’s cool but it still doesn’t tell me what to write about. Honestly, I’ve never understood this question. After more than eight years blogging, I’ve never run out of ideas and it’s because I have a few tricks I’m going to share with you now. There are three things you can do to find things to write about on your blog and never be at a loss for an idea. First is the common questions readers have in your niche. There’s a reason why we call this the information age, right? People are coming to your blog to find the information to their questions. So with every theme or topic within your niche, you need a post on all the possible questions; where, what, how, who and when. One way to get ideas here is to go to similar blogs and just use the search bar on their site for each of these question words. Another way to get blog ideas is part of that content strategy we talked about and how you’re going to make money with affiliates. Affiliate marketing is a partnership with companies to talk about their product. If someone clicks on your link and ends up buying the product then you get a commission. The problem is that just adding a paragraph about the affiliate in any article probably isn’t going to make much money. The affiliate might be related to the post idea but readers aren’t really looking for it. They probably came from Google on a search for the broader topic and maybe your post makes them aware that there’s a product or tool they can use but they’re just not there yet in the decision making process. Instead, it’s going to be the direct reviews and comparison posts that make you the most money. This is where you either talk directly about a product, offering all the pros and cons, or you include it in a huge list of similar solutions. So these are going to be two types of articles you right for each of your affiliates and post on your blog. Those direct affiliate reviews are great because anyone finding your review on Google or through social media is interested in that specific product. They probably already know about a problem and might even have some sense of how the company or product can solve it. They’re basically just a click away from making a purchase and your review puts you in line for that commission. Comparison posts are great because they give readers lots of information, lots of potential solutions from which to pick. You’re not just pushing one product, you’re saying Ok so here are all the things that can help you along with the pros and cons of each. You include affiliates and non-affiliated products to make a solid, unbiased review to really help your readers. 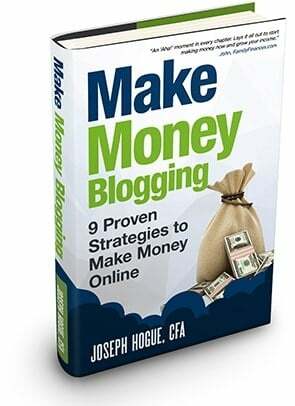 We’ll talk more about making money blogging through affiliates in the fifth video in the series so make sure you subscribe to the channel and watch for that. I’ll show you how to sign up to an affiliate network to find hundreds of partners within your niche. Our third way to get blog post ideas is my favorite, and I feel like I’m giving away a secret on this one. We’re going to be hacking keywords with this one and it’s surprisingly easy. The way you rank a post on Google is through keywords and phrases. A keyword like making money online is going to be super-competitive because everyone and their brother is trying to rank for it. Unless you’re a website like Forbes or the Huffington Post, you’re never going to rank for something like this. The idea is to find those keywords that are less competitive but still have enough people searching for them that it’s worth your time. How do you do this? You could spend hours doing keyword research, guessing at different ideas. Or you can spend less than 10 minutes keyword hacking to get hundreds of ideas. Watch the video here to see an example of how this keyword hacking is done. For this, you’ll use one of the SEO websites like Ahrefs.com or MOZ. These sites collect data on websites that bloggers use to rank their site on Google. So they’re basically looking at every page on the internet and how it ranks for different keywords. We’ll use ahrefs for the example so you go to the site and search for a blog that’s similar to yours, in the same topic niche. For example, for an investing site I might look at Investopedia.com which will take you to the main page here with loads of information. For keyword hacking, we’re going to be clicking on Organic Keywords here on the left which will take us to a page that shows all the keywords for which Investopedia ranks on Google and for a huge site like this one, that’s almost four million keywords in the U.S. alone. What we want though is the keywords for which the site ranks on the first two pages of Google and the ones we might be able to rank for as well. So we’ll change this Position filter for 0 to 10 then maybe this KD filter from 0 to 20. This is keyword difficulty and it’s a measure by ahrefs for how difficult it is to rank for that keyword on the first page of Google. The higher the KD, the harder it is to rank so most new bloggers will want to target keywords around the zero to 20 or 30 difficulty at the most. That still gives us a list of keywords in the millions which is way more than we want to look at so let’s filter for this volume as well. It doesn’t make much sense to target a keyword that only gets a few dozen searches a month on Google so we’ll change this to a minimum of 250. You can also filter for phrases of at least two or more words with this word count. That’s going to filter out a lot of the one-word brand names that aren’t good keyword candidates. Now that drops the list significantly so we’ll export the list into Excel for one last step that’s going to give you the easiest and best keywords to target. Ahrefs does charge a monthly membership but you can get a lot done during the free trial. I usually plan all my SEO projects in one month each year and then I’ll pay for a month of the service to get all the information I need. With the data export, you’ll get a bunch of columns but you really only need this Keyword, Volume, URL and difficulty columns. You can delete these others to just work with these four. The URL column will be useful if you want to see the post and get some ideas on what to talk about with the keyword. Next you’re going to create another column with an equation here so go to the first blank cell here and do equals then the volume divided by difficulty for that row. You can copy this formula with right-click and copy or control C then copy it all the way down the column. Now you highlight all these rows and sort by that column you created, from highest number to lowest. What you get is a great list of keywords that have high search volume for the lowest difficulty. There will be keywords in here like this target red card that might not be relevant but look at some of these others. These next two, rent to own and rent to own homes, have 60,000 plus searches a month and only a six or eight on that difficulty scale. Others here, we have gross income and some ratios that are all relatively easy to rank and have lots of searches per month. You can go down this list, picking out the keywords that are most relevant to your blog. You’re going to get at least a few dozen even hundreds of good keywords for every related site you look at so just hacking a few sites is going to give you blog post ideas for months or years. Now that we have a lot of ideas on what to write about, I’m going to reveal two strategies for making the actual writing easy and helping you rank your posts on Google for more traffic. For most of these keywords and ideas, you’re going to have a good idea about questions people have or topics within it, but to really create a quality post, you want to include as much detail as possible. One way you do this is to see what Google suggests and what others are saying about it. So we go to Google and we just type in the keyword idea we’re going to write about, let’s do rent to own homes. As we’re typing, we see that Google is suggesting some related ideas so some of those might be useful in talking about within the article. If you’re using the Chrome browser and the free Keywords Everywhere extension, you’ll also see some suggestions on the right here. This is showing you related keywords and topics that are popular with people searching for this keyword as well as monthly search volume. The first thing to notice though is this People Also Ask section where Google shows common related questions. This is telling you that any article on rent to own homes should answer questions like How Does the Rent to Own Process Work and Is it a Good Idea. You can click on the down arrow here and Google will populate a couple more questions to look at. Next you can scroll down to the end of the page for this Related Searches section with some more great ideas you know your readers will be looking for. In fact, a lot of these People Also Ask and Related Searches are so important that I make them an entire section in the blog post, We’re going to talk more about that and how you get Google to notice you’ve answered that question when we talk about SEO next. One last step here is to click through some of the top results in the search to see what they’re talking about. These posts have been voted on by readers through the links they make and Google sees the posts as highly authoritative so you definitely want to be talking about the same things when you’re discussing the keyword. So now you’ve got lots of ideas to talk about your keyword but how do you lay this all out to make the actual writing easy? How do you organize your writing so it makes sense and is as easy as possible? I’ve found that using kind of a template structure that organizes my articles makes it not only easier to write but also scores me points with Google. 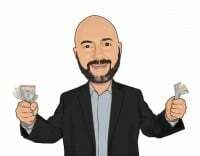 You lay out all the things you want to talk about in the article, here we would have the rent to own process, is rent to own worth it, maybe rent to own with bad credit. All of these are going to be your section headings, the main topic for two or three paragraph sections. You want to break up your article like this to make it easier to read, it tells readers OK here’s a short block about this sub-topic. You also want an introduction and a closing paragraph at the beginning and end to summarize and lead people into what you’re going to talk about. This is important not just for readability but also to rank on Google. Don’t worry about stuffing your keywords in these sections, you’re going to be including them naturally in the writing and Google will pick up on that. Finally here before I show you how to put your article on your blog in WordPress, you want to go back through the article to see if there’s any place you can include an affiliate link or a product. This doesn’t mean you force a mention of an affiliate product in a post. You want to take advantage though if there’s an opportunity where a product would fit naturally into the subject and might interest readers. You can add maybe a paragraph or two about the product and then a call-to-action which is just a few words or a sentence to click through to the affiliate. Uploading your article to WordPress is really easy. I know a lot of bloggers build their post directly on the platform and that’s fine. I still like to write all my posts out in a single word processor document and then copy over. This gives me an easily searchable document for everything on the blog. So here I go to posts and add new to bring up the editor. I can copy the title and content directly over and the editor separates the paragraphs into text boxes. First I go through to each section heading and change it to a header type. You’ll want a few H2 headers to signal a broad topic and the rest of your headings can be H3 tags. You can also add your links in here if they didn’t get automatically added from your Word document. Next is to go over here to schedule your post by clicking here and setting a date and time. Best practice is to publish each week at the same day and time. This gives your readers an expectation of when they can come back to get new content. You also want to pick a category to keep your blog organized and upload a feature image that will go out on social media. Down here is the Excerpt that will be the two or three sentences that show up on Google search so you want this to be descriptive and persuasive so people click through when they see it. After you save the post as a draft or schedule it, you can go back to this permalink which will be the URL address for your post. You want to make the permalink only the words of the main keyword you’re targeting so delete out any of these extra words. After just a few posts, all of this is going to become second nature but it helps to have this process first. It’s going to make sure you hit every detail and speed up that learning curve to make everything as efficient as possible. Now that you’ve got a post on your blog, it’s time to think about getting people to read it. Next week, I’ll be sharing a social media strategy that will take your blog viral including which social platforms to use and a strategy to make it as easy as possible. 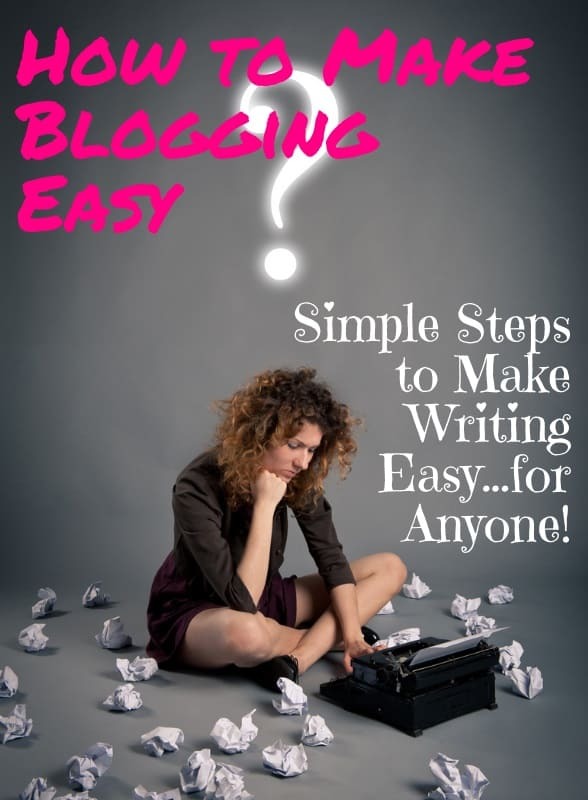 Writing a blog doesn’t have to be difficult or intimidating. Anyone can become a blogger, even if you’ve never written anything. Using this simple process to write a blog will help save time and get more traffic. Don’t forget to get your free checklist to the build-a-blog series here.